You’ve heard it. I’ve heard it. I’ve even taught classes about it. Establishing and managing your “personal brand” is an important part of the relationship you build with your clients, customers, peers, employees and management teams. But here’s the thing… this concept is not as new as we might think. It used be called your “reputation”. Your reputation is what you are known for. It can help you or hurt you, depending on what it is and who is interpreting it. A business person with a reputation for shady dealings might not last long, but a rock star with a reputation for wild parties and controversial lyrics might attract additional interest that could boost sales and concert attendance. It dawned on me the other day that a personal brand is really like putting a label on your reputation. Your reputation is earned through your actions, and the personal brand moniker you create essentially describes what your reputation is, or what you want it to be. If you are just starting out it in the professional world, defining a personal brand identity can also help build your reputation by keeping you focused on your main goal. The WAY your statement communicates these could be implicit or explicit, but thought should be given to how you will convey these main points. 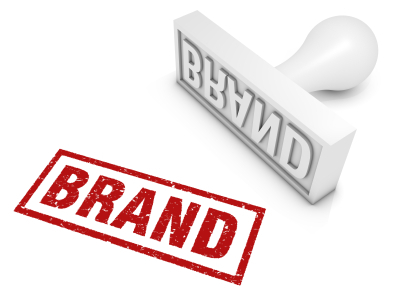 Brand statements are typically short, they mention the brands’ values and has some sort of call to action. For example, Nike’s “Just Do It” statement communicates that they value action, it’s very short (thus easy to remember), and the call to action is to do something – no excuses. While the brand statement itself is important, what REALLY communicates your brand (and defines your reputation) is your actions. What are you doing to support what you say your brand is? Is there anything (hello, social media) that might blur the vision you have for your brand and your reputation? Not everyone has, or even needs, a personal brand. And that’s okay. However, everyone does have a reputation, whether it’s the one you want or not. What are you doing to ensure your reputation is what you want it to be? About the Author: Matt defines his brand as “Helping Leaders Lead” and he does that through this blog, on-site training, coaching, and his new book, “The Myth of Employee Burnout“, due out in just a few weeks. If you have ever been to a concert, you have probably noticed the small arsenal of equipment that was plopped in the middle of the seating area. Unless you were up on your audio physics, you may not know why the equipment was placed there, of all places. Couldn’t that have been used for more seats? This is where the sound, lighting, and video techs work their magic during the show, and the location was chosen for a very specific reason. It’s something called critical distance. Why is the critical distance so… critical? This is where the person controlling the sound makes their decisions. Are the vocals loud enough? Can you hear the bass guitar? That is all controlled by the sound guy/girl. If they hear too much of the reverberant (indirect) sound, they can’t make the right decision in terms of what you should be hearing. In other words, they can’t do their jobs. I was thinking about this concept the other day in terms of leadership, and how there is a critical distance we need to keep from our employees. Of course we need to be close enough to know what’s going on and what makes them tick, but we also don’t want to be TOO close because we could lose our objectivity. Before social media, one of the big concerns for young supervisors was not going out with their employees after work. If they did, they would inevitably put themselves in a situation where they would learn something a little too personal about their employees or vise-verse. That would change the relationship back at work, which typically undermines the leaders’ authority, making it tough to do their jobs. Where have we heard that before? With social media, maintaining a critical distance for a leader becomes a little more murky. Some leaders have taken a hard line with their employees and have said, “We will NOT be connected on Facebook”, while others connect but only share certain things, etc. Unless your company has a policy, to me there is no hard and fast rule, as long as you are consistent and can maintain the objectivity to do your job. Be upfront with your employees about your intentions. If you are de-friending someone or not accepting their request to connect, explain your reasons why. Tell them you have a responsibility to maintain an objective view with all of your employees. You can be friendly without being “friends”. Having a friendly demeanor is respectful of the people you are working with. Take that outside the workplace too often, where the filters and guards are often let down, and your friendliness could be misconstrued as friendship. Unfortunately, too much of that kind of exposure can put your objectivity in jeopardy. Recognize (and embrace) the “comfortable tension” between you and your employees. There is a palpable feeling that exists when you have successfully gotten to know your employees and are “friendly” with them, but have also maintained a professional and objective distance between you. I can only describe this feeling as a “comfortable tension”, because it’s a slightly unsettling feeling that you are actually doing your job correctly. What are your experiences with the “critical distance”? Do you find it’s easy or difficult to maintain? PS – Have you been following the #noburnout tweets and posts? Still sharing more through the end of August! In customer service circles, we talk a lot about knowledge. As a service provider, having the knowledge of what to do, how to do it and the background information to help the consumer make the right choice is paramount. Also knowing when to back off can be a useful talent. A few weeks ago, Linda and I went to Colonial Photo & Hobby, a local specialty photo shop where we have gotten great service and great products in the past. I would almost describe CP&H as old fashioned or a throwback, but in the best possible way… when you walk in the store there are numerous people waiting to help, and they are experts in their field. They have knowledge to spare and are willing to share it. We were lucky enough that day to be helped by Ken Pepper. We were either looking for a new camera, or needed information about our current camera to take better pictures. Ken listened, asked insightful questions, made suggestions, let us try different cameras, explained various features and taught us more than a few things that would help our picture taking efforts. It was everything you could want from a service interaction. But Ken is not the reason for the post. Not the entire reason, anyway. There was another employee nearby who did not have a customer to help, so they decided to “help” Ken and us. As Ken was making a suggestion, the other employee would interrupt, make a different suggestion, and basically tell Ken how to do his job. It was annoying and insulting at the same time. Ken handled it like a pro, though. He patiently listened to their suggestions and went ahead with his own agenda anyway. Luckily, another customer was in need of help, so the other employee left and we were able to be helped by Ken, unencumbered by other influences. The other employee probably had the knowledge to help us, but their approach, when we were already being helped by Ken, was overbearing and out of place. So where did this come from? Why would this employee feel the need to power-in on Ken’s interaction? Maybe they had a problem with Ken. (Hard to believe as easygoing and patient as Ken is, but it’s possible.) Maybe they had some sort of issue in the past and this employee didn’t think too highly of Ken’s suggestions or his ability to make the sale. Maybe there is a self esteem issue. The amount of experience in this store is incredible, and maybe this person feels the need to prove their worth any chance they get, and maybe Ken is an easy target because of this low-key demeanor. Maybe they just can’t help themselves. Some personality styles prefer to shoot first and ask questions later. Maybe this employee hasn’t developed the self awareness and control to use their knowledge at appropriate times and situations. The impacts here are two-fold (at least). First, if this had gone on much longer it would have really soured our experience as consumers. (It obviously stuck with me enough that I am writing about it, but it did not tip the scales away from doing business with CP&H in the future.) Secondly, if Ken continues to be the target of this type of undercutting, it could lead to animosity and tension among the staff, which has a funny way of rearing it’s ugly head when customers happen to be around. Either way, it’s not good for business. You’ve probably never heard me say, “discourage your staff from providing service and information”, but in this case it’s more important to know WHEN and HOW to provide it. So HOW would you handle this? WHEN would you step in if you saw this happening? Post script: In the end, did we buy a new camera? No. Ken taught us enough about our current camera that we were able to take the type of pictures we wanted. Because of his great service, though, the next time we DO need a camera (or anything CP&H sells), we’re going to see Ken!